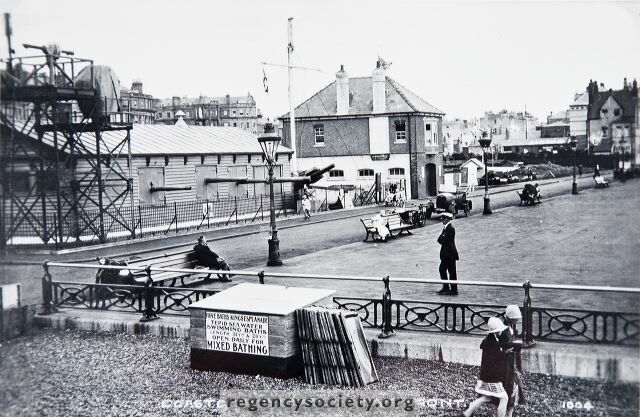 A view of Kings Esplanade and the Battery in 1928. The enclosed guns look like 12 pounders, while to the left is a white searchlight and above it some form of range finder. The waste ground beyond the Battery House was then used for supplying beach to builder’s merchants for ballast. Note the old gas lamps then still in use.